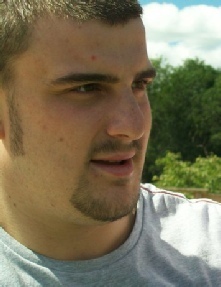 Scott became a Wey Valley player when he was 14 and will be sorely missed by his team mates and everyone who knew him. Scott loved his football and for me (as his manager and coach), was not only a model player but a good friend both in and out of football. In his football he will be remembered for his fearless defending and tireless/total commitment to the team and its success. Amongst many other highlights in his time with the Club he holds the record of being the only Wey Valley player to have scored an international goal in the team’s U18 end of season friendly (April 2007) against a visiting Dutch side Telyingen. He also invented the “twin shin headed clearance” - something the whole team will remember with a smile. 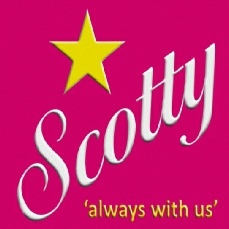 Outside of football Scotty was utterly devoted to his fiancee and daughter and could be summed up as a ‘true gent’. He had a great sense of humour and was invariably willing to help anyone, anytime. You’ll not be forgotten by me, your team mates or anyone that knew you. The Club have set up a memorial fund which, in accordance with the family’s wishes ,will be used to support and benefit the club and all its players at all age groups. Money is to be raised by a variety of special events (details of which will be shown on this web page from time to time, activities and events organised by other groups and people, and/or by simple, generous donation. Applications for support should in the first place be made by email to nigel.welch@wvyfc.org, and you will be sent a form to complete. Applications will be available to Wey Valley registered players and will only be accepted for cases where there is demonstrable football related hardship, e.g. no boots, shin guards or training clothing. Applications will be considered by the Memorial Fund managers and any awards maybe given as cash, vouchers or goods. And to play it up in heaven. So he selected his first eleven. They made it in the team. A defender, tough and quick. And saw Scott, in his Wey Valley kit. And God took him by the hand. As God is the referee. And the transfers, they are free. To the angels in the crowd. They roar his name out loud. So we could hug you once again. You'll live on in our every dream.